I recently attended an event in which someone discussed the important of personal brand. Personal brand, she said, is important as you continue to climb the corporate ladder. But, what if you’re not where you want to be? Blogs are a great way to increase your visibility and build your personal brand empire. Blogs are not something new. According to Wikipedia, blogs began in the late nineties. Folks for the last ten years have been sharing their experience, knowledge, and general random thoughts, but it wasn’t until the last few years (2004 ish) that blogs really took off. There are many benefits to writing a blog: brand awareness, build authority, content creation, and search engine optimization. Brand Awareness isn’t only for large companies. What do you want folks to think about you? Your blog can be a great way to build your personal brand. Use your skills, interests, and experiences to build your blog, ultimately build your brand. 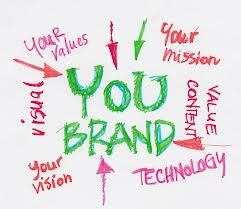 Your personal brand isn’t just for your blog, but your digital presence. Susan Payton wrote this article regarding how to be the “It” expert in your industry that is worth a read. Blogs are a great way to express your knowledge on a topic and build trust with your audience. Hubspot wrote a post on 11 ways to use content to build authority. Passionate about social media? Cool, then write about that. The key to building expertise is to share your stories. Everyone has something to share. Start writing down your ideas in a notebook or use Evernote. Personally, I keep a small notebook to write down my ideas. Lots of posts have come those scribbles. Most of the ideas I jot down come from conversations at work or something I read. No matter how random the idea is write it down. Start using those ideas for posts and turn your ideas into opportunities. This is how you build authority by sharing your experience. Need more? Here is another post to read on how to write great content from Jeff Bullas. Trying to rank for certain key words? You should think about how to incorporate those into your blog. Amy Portfield writes a great post on how to make your blog rank well. Don’t know where to start? Think about how folks find you on the interwebs. If folks are looking for the ultimate basket weaver, how do they find you? You can check your website analytics, if you are using Google Analytics under traffic sources.